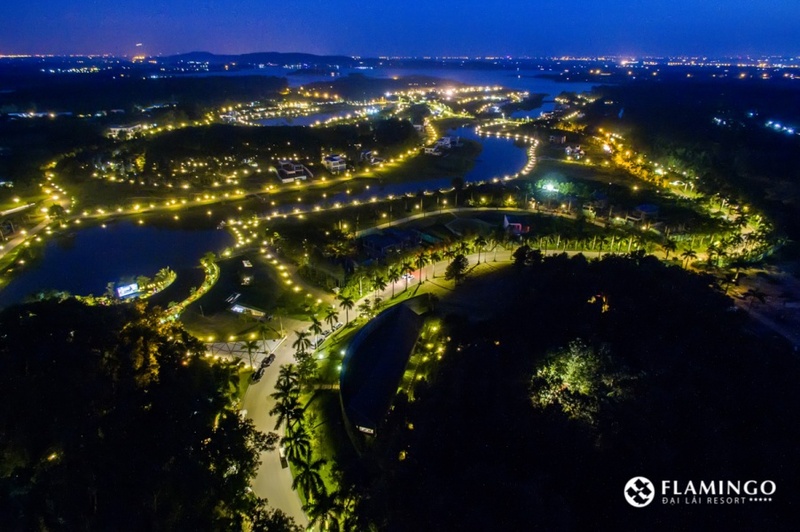 (VietKings.org) At the Opening Ceremony of Luxury Skylake Villa on June 4, 2017, Vietnam Book of Records officially conferred the Vietnam Record Certificate on Flamingo Dai Lai Resort for "The resort has the largest art space by the lake in Vietnam". 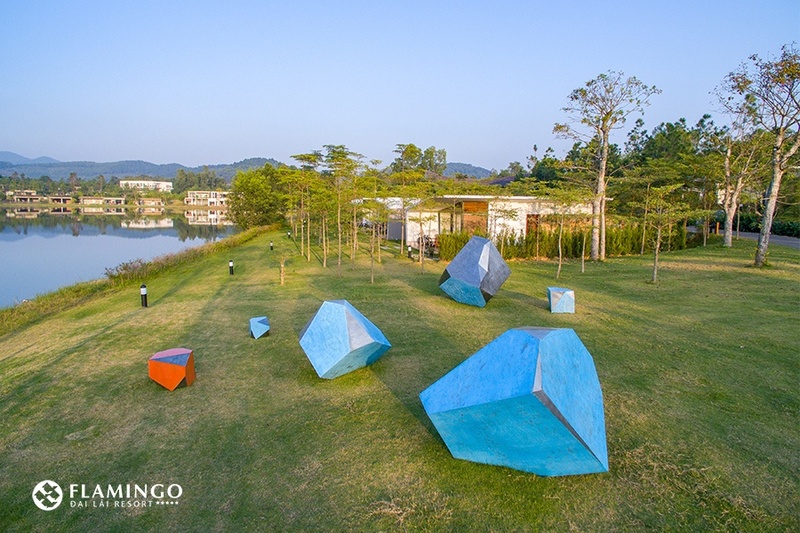 During the launching ceremony of Luxury Skylake Villa, the first step in the plan of "Flamingo Rose Kingdom" , Flamingo Dai Lai Resort continues to affirm its brand name and bright spot on Tourism, culture and art with the successful establishment of Vietnam record: "The resort has the largest art space by the lake in Vietnam". Mr. Dang Huy Tuan – Vice General-Secretary of Central of Vietnam Record Holder Association published the record. PhD. 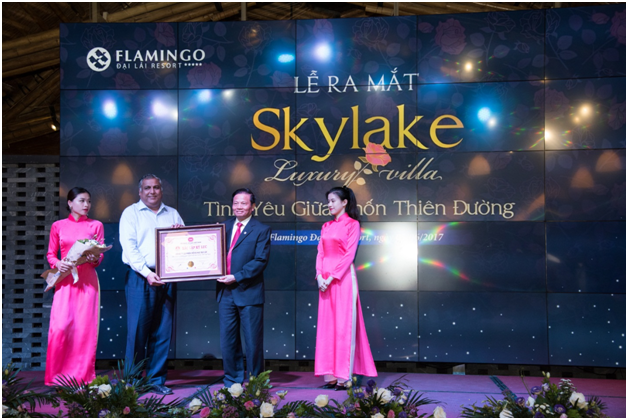 Le Doan Hop - Former Minister of Vietnam Ministry of Information and Communications, Chairman of Establishment Committee of Vietnam Book of Records conferred the Vietnam Record Certificate on Mr. Rajat Chhabra - CEO of Flamingo Dai Lai Resort. 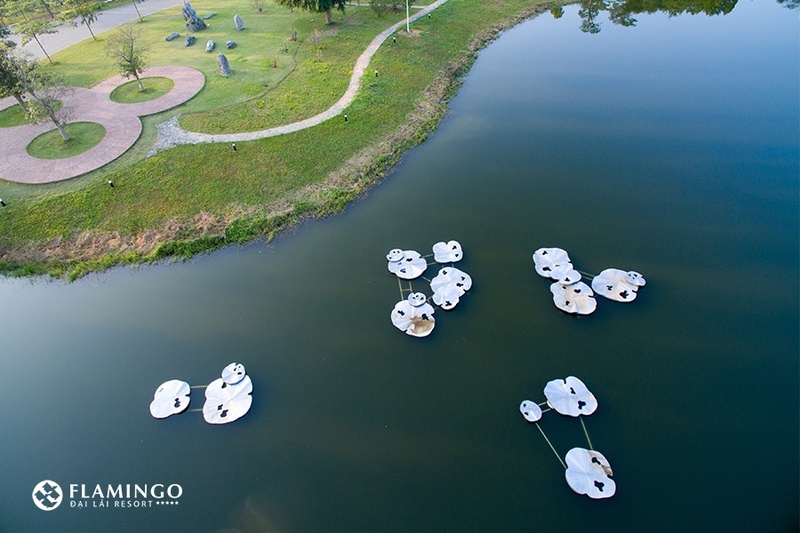 Flamingo Dai Lai Resort is a 5 star luxury resort in Dai Lai Lake in Vinh Phuc province. 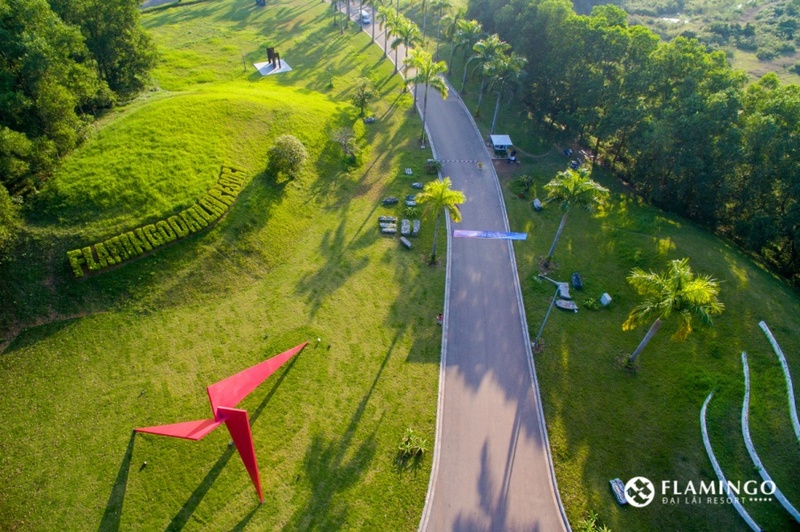 In 123 hectares, there are 4 peninsulas, 2 central lakes and 3 streams. 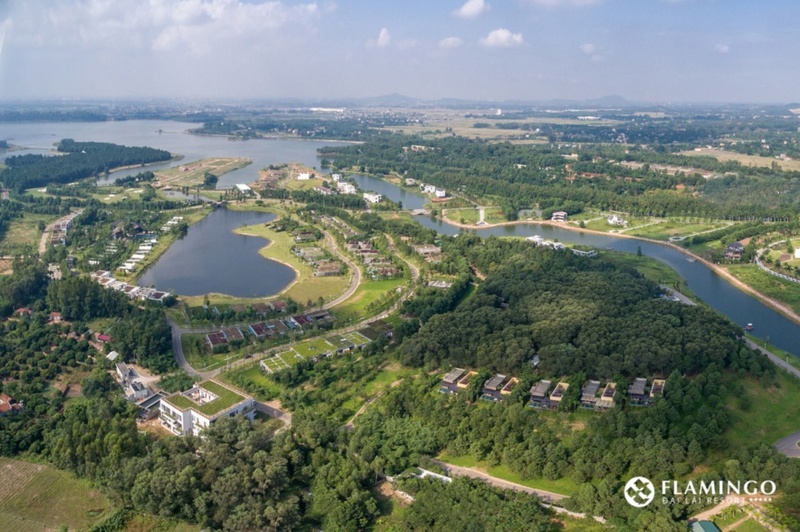 The natural ecosystem integrity which is hardly affected by man is suitable for you to enjoy a fantasy holidays after stressful working hours. (VietKings.org) In the evening of May 6, 2017, there was the 33rd Meeting of Vietnam Record Holders in Conference Center (No.272, Vo Thi Sau Street, District 3, Ho Chi Minh City, Vietnam). 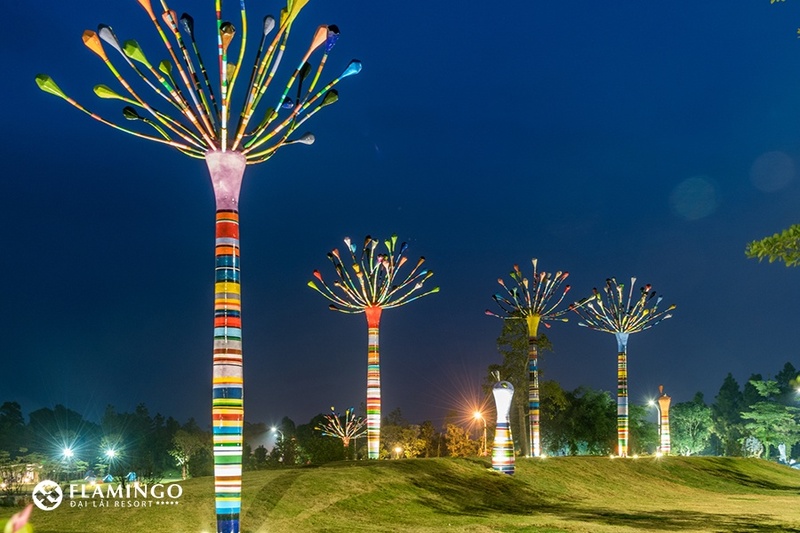 The event was organized to honor new records and new achievements of Vietnamese.